—"One For My Baby (And One More For The Road)"
Fancy yourself at a lounge bar, five stools down from Sinatra. It’s a lonely 2:45am, the velour smells like cigarettes, and Joe, bless him, has done all he can about the draft from under the door. Someone’s already started vacuuming. That’s the basic milieu of composer Phil Kline’s new song cycle Out Cold, at BAM with the composer’s Zippo Songs from Oct 25—27. 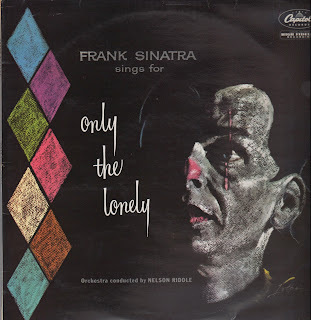 The cycle was inspired in part by Sinatra’s collaborations with arranger Nelson Riddle in the 1950s, particularly their masterpiece (and Sinatra’s favorite album) Frank Sinatra Sings for Only the Lonely, a lushly orchestrated set of downcast ballads cataloging broken hearts and dreams. Released in 1958, the album came at a dark moment for both men. Sinatra had just finalized his divorce from actress Ava Gardner and Riddle had just lost his mother and daughter. The result was a portrait less of “vagabond blues melting away” and more of blues seriously outlasting their welcome. Sinatra was more to the point. “Suicide songs,” he called them. Out Cold’s second inspiration was another set of songs written from the perspective of a down-and-outer, numb to the world: Franz Schubert’s icy masterpiece (and his favorite of his song cycles) Die Winterreise. 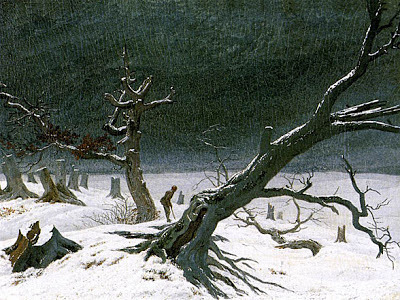 Composed only a year before his death in 1828, Die Winterreise follows a hapless man, bereft of love, as he wanders aimlessly through a bleak winter landscape. Luck be not the lady here. Imagine a man […] whose most brilliant hopes have perished, to whom the felicity of love and friendship have nothing to offer but pain at best, whom enthusiasm (at least of the stimulating variety) for all things beautiful threatens to forsake, and I ask you, is he not a miserable, unhappy being? We can only assume Sinatra would have answered yes. Schubert’s protagonist certainly would have, and the two might have learned something from one another had they set out together on that icy landscape. On Only the Lonely, Sinatra sings that spring is here, but it might as well be winter since he’s lost without love. “Spring is here, I hear.” Schubert’s protagonist, knee-deep in winter, dreams of both spring and love but wakes to find that he’s without both. Later on, Sinatra asks the eponymous willow tree to lend an ear. “Listen to my plea, Hear me willow and weep for me” before crying into a stream. Done with confiding in trees (particularly, Linden trees), Schubert’s protagonist cries into the snow, which he hopes will one day melt into a stream and be carried off to his beloved. Listen to the songs yourself and make your own connections. And see Out Cold. Phil Kline described it as “a bar at 2:45am, a voice as smooth as silk, singing sad songs with a 10-piece lounge band from a dark corner of heaven," which makes us think it will be the good kind of depressing.